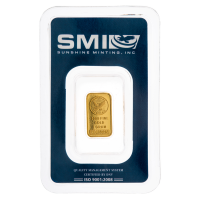 These rare gold bullion bars are made by Johnson Matthey, a refiner that has been in business since 1817. 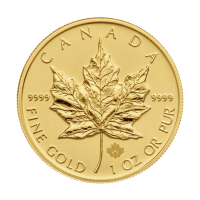 They once played a large part in the world bullion markets and later diversified to include many different aspects of metals refining and minting. 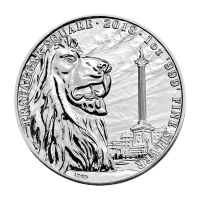 Renowned the world over for the quality of their products and the reputation that has endured for nearly 200 years, Johnson Matthey is a favourite among bullion dealers and stackers alike. These bars were specifically minted for TD Bank to sell to investors. 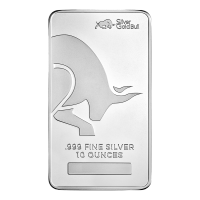 This is a highly sought after bar due to it's specialty design. These Johnson Matthey Bars are 9999 Fine Gold and weigh 1 troy ounce. Each bar has a unique serial number. The bar you receive may look different than the bar pictured, but is guaranteed to be a 1 oz Johnson Matthey gold bar with the TD Bank Logo on the backside of the bar. 1 oz Johnson Matthey TD Bank Gold Bar These rare gold bullion bars are made by Johnson Matthey, a refiner that has been in business since 1817. 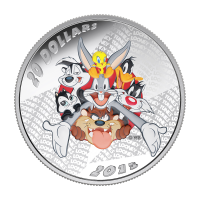 They once played a large part in the world bullion markets and later diversified to include many different aspects of metals refining and minting. 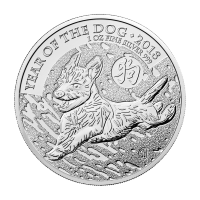 Renowned the world over for the quality of their products and the reputation that has endured for nearly 200 years, Johnson Matthey is a favourite among bullion dealers and stackers alike. These bars were specifically minted for TD Bank to sell to investors. 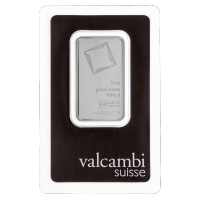 This is a highly sought after bar due to it's specialty design. 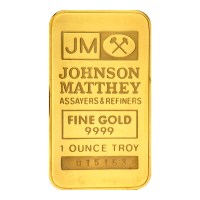 These Johnson Matthey Bars are 9999 Fine Gold and weigh 1 troy ounce. Each bar has a unique serial number. The bar you receive may look different than the bar pictured, but is guaranteed to be a 1 oz Johnson Matthey gold bar with the TD Bank Logo on the backside of the bar.